There will be no shortage of star power at the Texas Swimming and Diving Hall of Fame Invitational. Four ranked teams will compete on the men’s side, including No. 1 Texas. Southern California, Arizona and Wisconsin are also ranked. For the women, five ranked teams will compete. The Longhorns, currently fourth in the country, are the highest ranked team going into the meet. Southern California, Arizona, UCLA and Wisconsin are also top 25 women’s teams. To view the full psych sheet for the meet, click on the link to the right. One highlight of the meet will be the men’s butterfly races. Texas’ Joseph Schooling won both the 100 and 200-yard butterfly races at NCAA Championships last spring. Jack Conger, his teammate, finished second in both races. Schooling and Conger are entered in both butterfly races at this week’s meet. 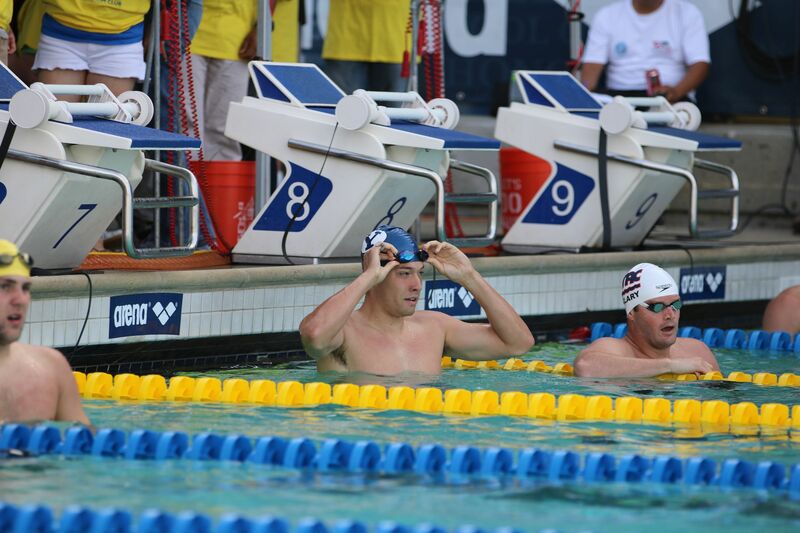 The races will also feature a strong duo of Southern California swimmers: Michael Domagala and Maclin Davis. Brigham Young senior Jake Taylor is also expected to have a strong meet. Taylor is seeded first in the 200-yard individual medley, 100-yard backstroke and 200-yard backstroke. 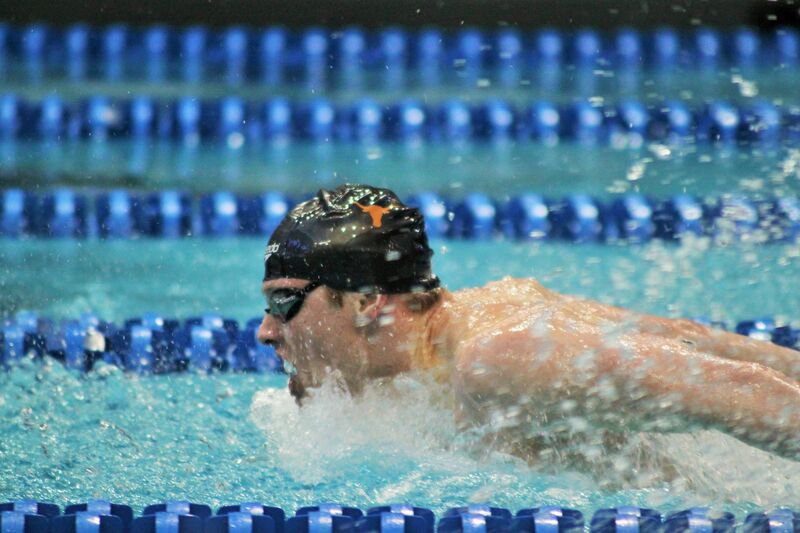 Will Licon will compete in four individual events for Texas this week: the 100-yard breaststroke, 200-yard breaststroke, 200-yard individual medley and 400-yard individual medley. Licon is the reigning national champion in both the 400-yard individual medley and 200-yard breaststroke. On the women’s side, Southern California’s Chelsea Chenault is seeded first in three events. 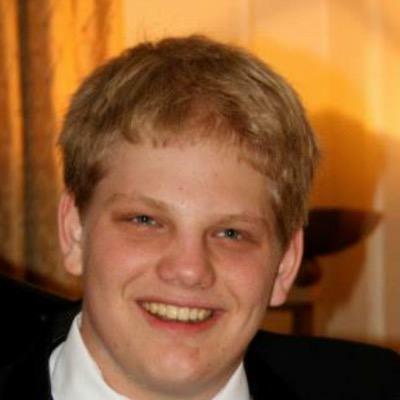 Chenault is expected to lead the pack in the 500-yard freestyle, 200-yard freestyle and 200-yard butterfly. Texas’ Madisyn Cox will also compete this week. Cox is seeded first in the 200-yard individual medley, 400-yard individual medley and 200-yard breaststroke. She is also set to race Chenault in the 200-yard butterfly and 200-yard freestyle. 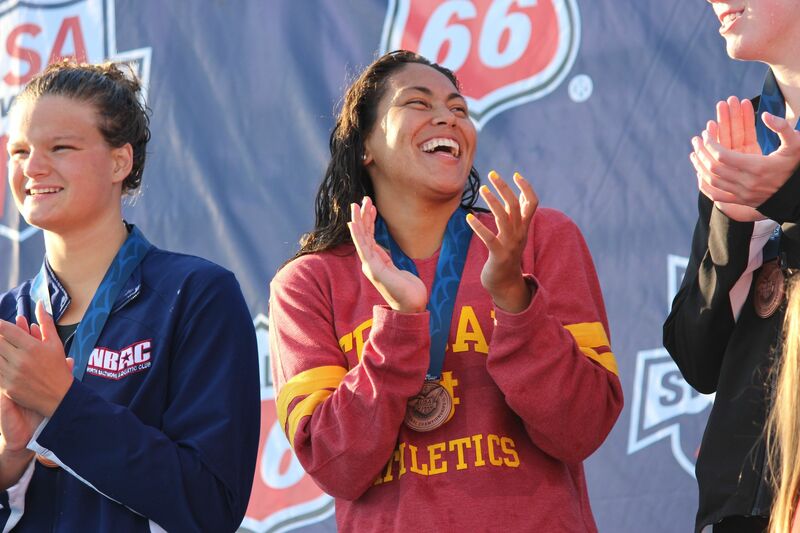 Southern California’s Anika Apostalon is seeded first in two events: the 50 and 100-yard freestyle. She is also seeded second in the 100-yard backstroke. The meet is set to take place in the Lee and Joe Jamail Texas Swimming Center. See Psych Sheet on the Top Right? To be fair to superfan, the link looks like it’s part of the ad ribbon that runs along the side of the page. I didn’t notice it until I read your comment. Would have been a better meet had Indiana and more specifically Kennedy Goss been invited. I guess anybody could pretty much guess where the meet is taking place. But since this is half press release and half promo the the first or second sentence should always include where the meet is being held and the DATES. Always. Its common sense and also good PR/Journalism….